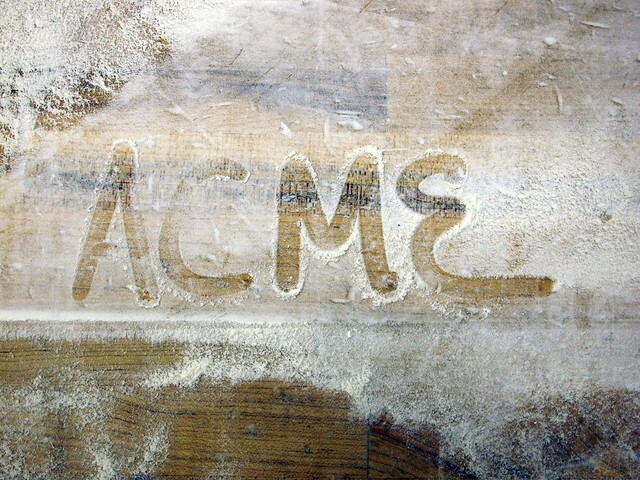 My Brief Apprenticeship at Acme Bread Co. 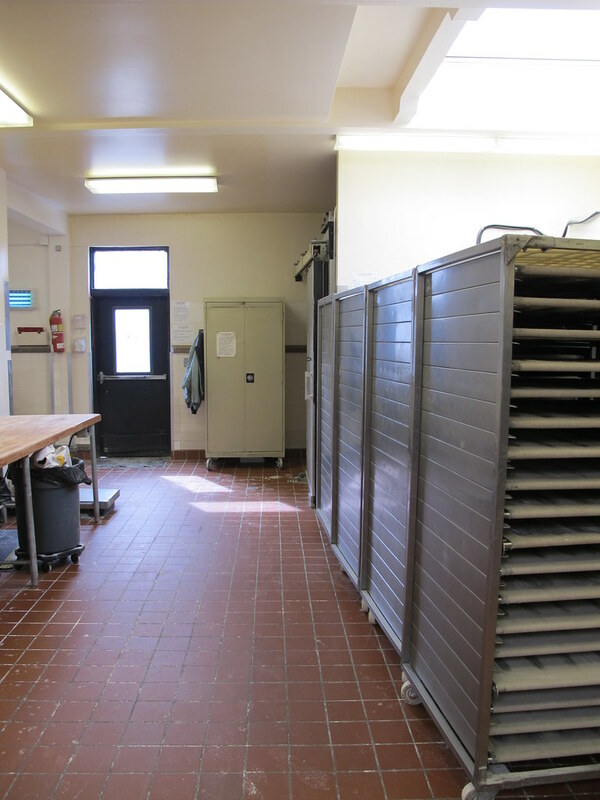 I received a unique opportunity during the month of March to spend two days a week at Acme Bread Company's 24-hour main production facility on 9th Street in Berkeley, CA. 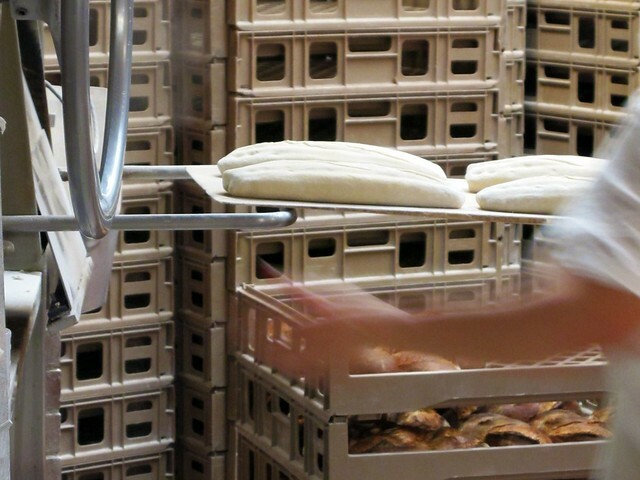 It was intended to be an observational apprenticeship for the most part, and any "hands-on" experience would be at the discretion of the head baker. 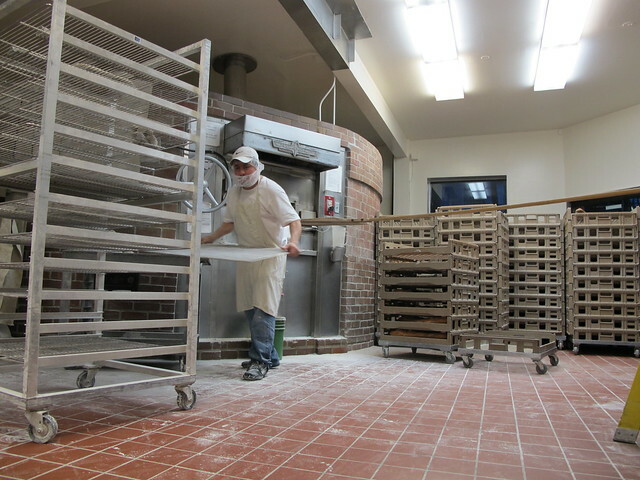 Within a few minutes, Mike had me jump in at a empty space at the work table to shape dough with the group. Observation just left the building. I was a bit nervous at first about handling the dough. I was stoked, however, that I recognized the dough we were shaping as "Torpedo Rolls" from my recent trip to Bakesale Betty. I took a step back from dough shaping for the rest of Day 1 to observe all the different kinds of dough that were being rolled. I continued to talk to Mike while I carefully watched everyone's hands and tried to memorize everything they were doing. I switched over to the mixing room with one of the workers who, like many of the Acme employees, has been with the company for 20 or so years. The mixing room was really fun. 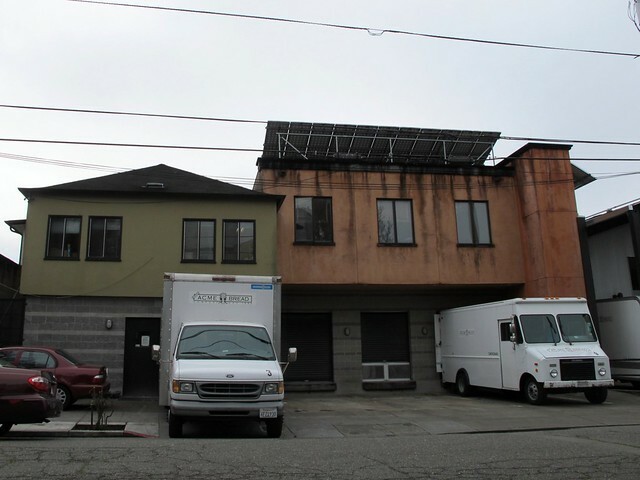 You have to move relatively quickly, but you must focus or you can mess up on a big scale. 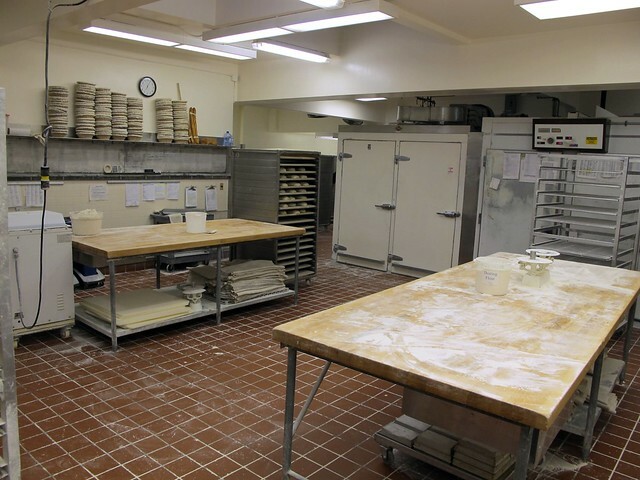 If you're going to mess up (and let's face it, baking and messing up are kind of frienemies), I am told that the mixing room is the place to do it, because you hopefully still have the ability to adjust. (Unlike burnt loaves coming out of the oven.) I did my best to keep up with my mixing pro mentor and was generally in awe of the scale of ingredients. Do you know how much frosting I could make in one of those Kemper mixers?? Silos of flour! I had never dreamed of such a thing before. I was getting industrial kitchen equipment envy. 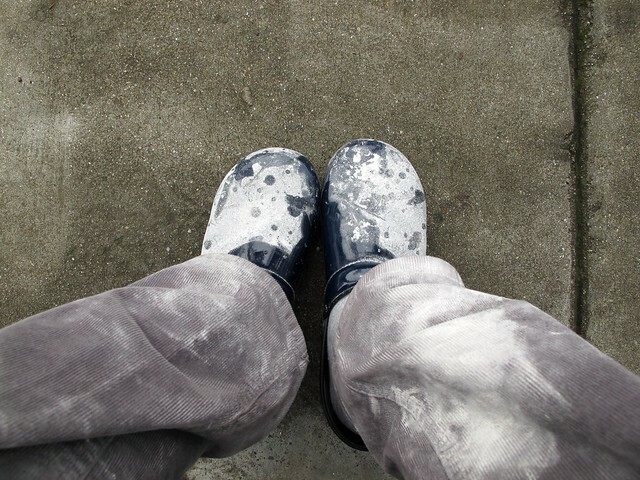 I was so anxious to get my hands in dough again by the start of Day 2. Plus, Mike told me he would be mixing a sweet Panettone-type dough (Brioche or Kulich) the next morning around 2:00 AM if I was interested. Was I? He had me at sweet. 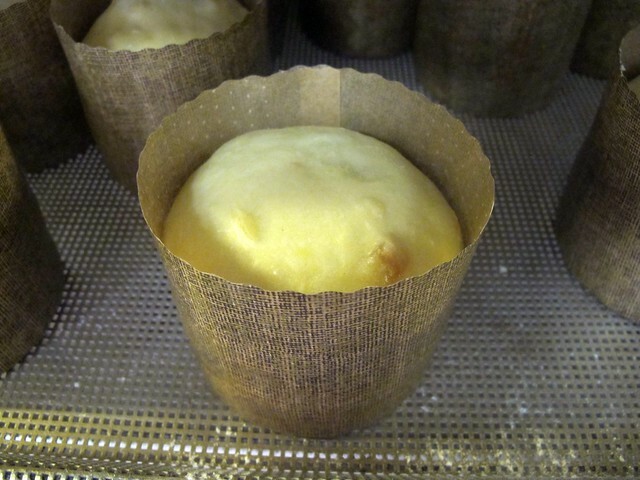 The quality of the ingredients used to make the Panettone is incredible. 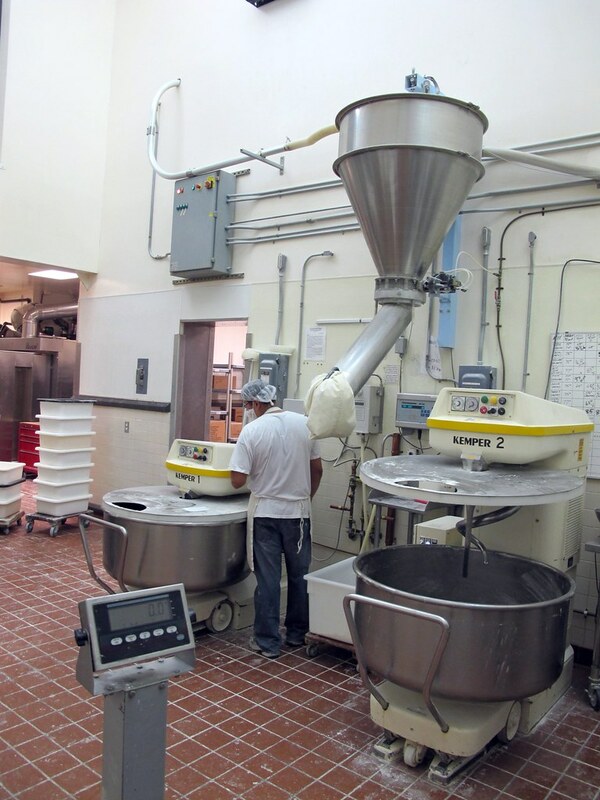 I believe I witnessed about $1,400 worth of ingredients go into one of those mixers and we weren't even making a large amount (relative to what they make around the winter holiday season). That's why Mike handles the mixing himself on this one. 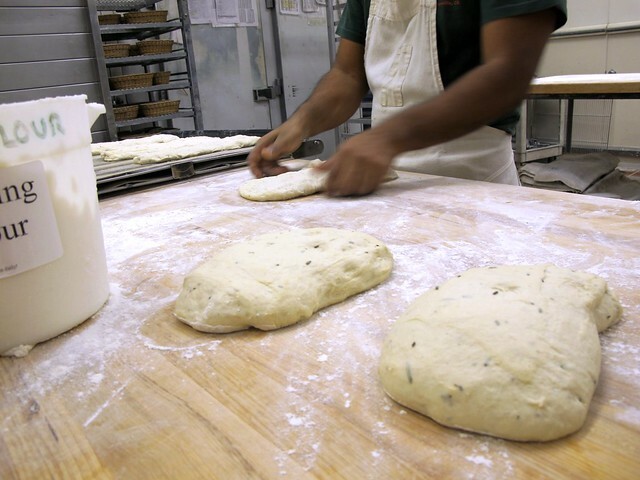 He knows how to read and adjust the dough throughout the various stages to make sure it comes out just right. 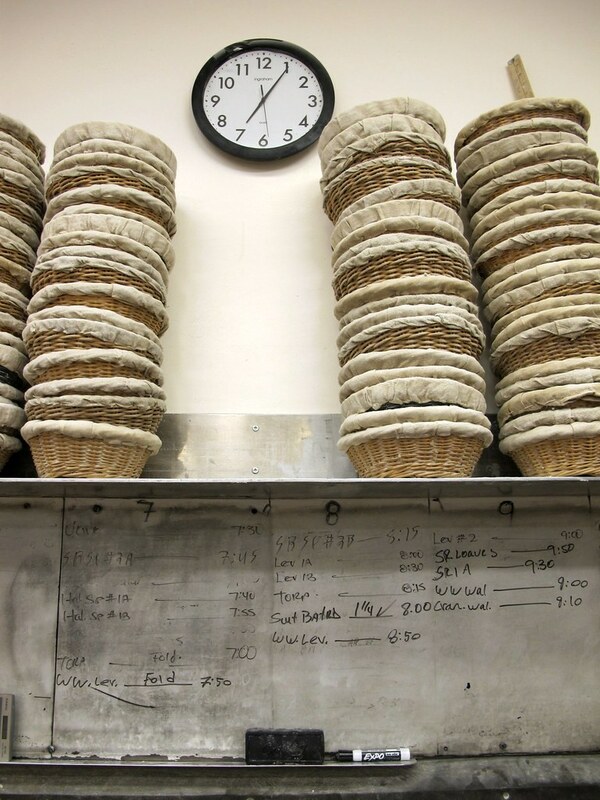 After the Panettone, I worked in the dough shaping area where I slowly got a feel for rolling the first loaf. As soon as I felt I had that one down, we were on to the next loaf. Each dough a bit more sticky or soft than the last. Each shape requiring a different speed or shaping technique. I was foolish to think on Day 1 I could memorize with my eyes. I should have known that only the hands, with accurate repetition, can memorize this kind of skill. I loved working with these guys, too. Because they really all tried to help me. Someone would show me one way to do something. He'd leave. Then someone else would be working across from me and say "No, no no. Like this..." At first, I'd get kind of confused when that would happen... Who should I listen to? Which way is the right way? I came to find that there are different ways to get the same result. I took a few pieces of advice from everyone, mixed 'em all together, and found a combination that worked for me. Soon enough I was feeling quite comfortable. I had my own rhythm and style. I didn't even want to stop for a lunch (er, breakfast) break. But I did, for safety's sake. The rest of the morning was more dough shaping. Not a dull moment with the variety of bread that Acme turns out. The boards tell some of the story. The sun starts to come in. 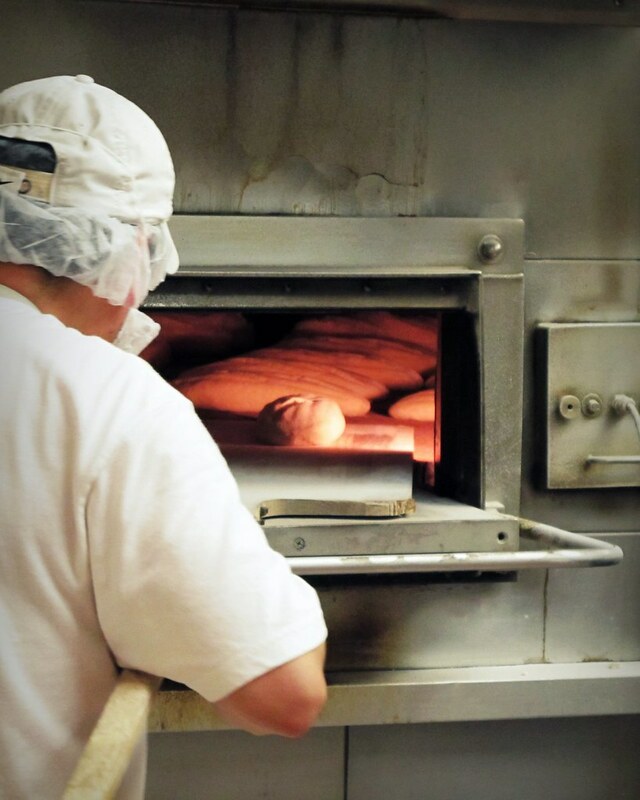 Around the bend, the oven is cranking. This is the original externally fired wood-burning oven. The Bread Builders book explains the outer facade and hearth are masonry, but the walls and roof of the oven are steel. The big metal wheel next to the oven door which rotates a 12-14 foot circular hearth plate covered with refractory concrete around a central column. The oven job is no joke. 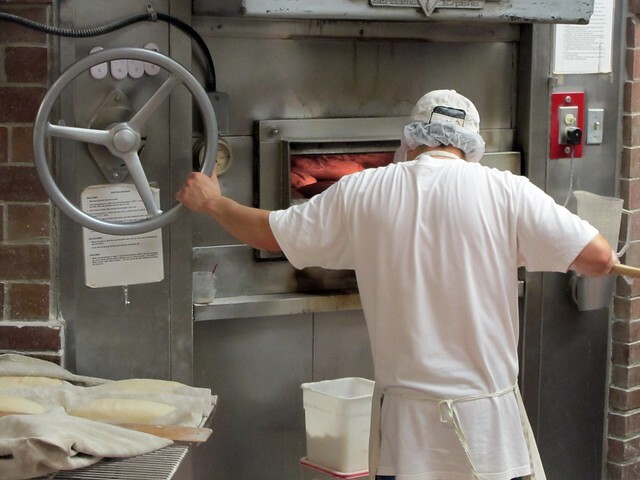 Around 11:00 AM, I'd leave behind my hairnet and apron, but take home some flour-encrusted clogs and stories to tell Cole and his parents about my fantastical day at Acme Bread Co. I'd jot down some notes each day (what I could remember). I was a bit achy and ready to crash by the end of my work day, but mostly I just couldn't wait to go back. My apprenticeship lasted three weeks. I only got a few pictures (most of which I've shown here) but I have it all visually memorized. For me, this was a dream come true. Mike and I chatted casually throughout the day about all the considerations to take if I open my own bakery one day or whether or not to go to pastry school...all while working with my hands, learning new things, smelling all the yeast and baked bread smells, and joking around with the happy & hilarious Acme folks. It was honestly one of the coolest experiences I've ever had. I learned so much and it inspired me in so many ways. I feel so grateful for the opportunity and the warm welcome I was given by everyone there.